This was a really exciting year. My self-titled EP came out on Soul Clap, and we licensed a fantastic remix by Bosq to Defected Records. Amy Douglas and DJ Bruce turned in stellar vocals and remixes, respectively. I had the honor of remixing Midnight Magic. I got to play some really fun parties in the UK, Miami, NYC, Pittsburgh, DC and beyond. Funk Train has started to grow in DC, NY and Philly. Most importantly, I got to share it with lots of great friends and my family as well. I got to watch many of my friends achieve some great things in their careers – it’s been very satisfying. I’m happy that some of these things were recognized by some of the music outlets I like most. 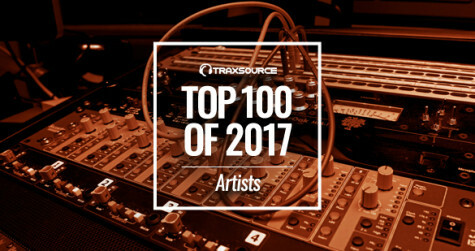 Juno named the Bosq Remix of Get It On and my remix of Midnight Magic as two of its top 30 disco tracks this year, and Traxsource named me one of their top 100 indie dance artists for the second year in a row. Next year should be a fun one too! Amy Douglas and I are working on a lot of new music and I have plenty of other fun projects in the works. Thank you for all the support from Soul Clap, Razor-N-Tape, Diggin Deeper, Giant Cuts, Defected Records and anybody else who has put out my music recently. Thanks to Brent from Rogue Agency and Sammy my mix engineer. Thanks to Jeff Fry for great graphic design on all the Funk Train fliers and thanks to everybody who has listened to my music, come to see me play or supported me in any way!